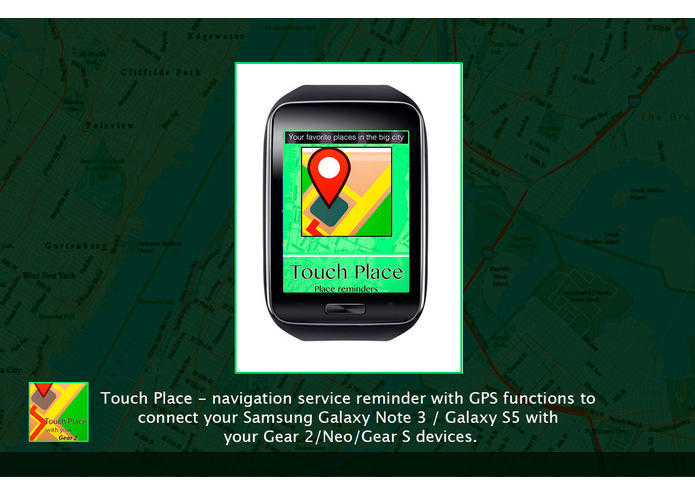 Touch Place - navigation service reminder with GPS functions to connect your Samsung Galaxy Note 3 / Galaxy S5 with your Gear 2/Neo/Gear S devices. 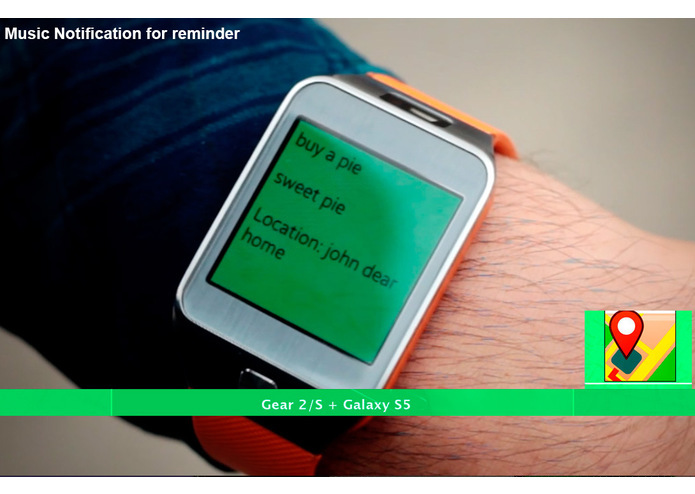 This application allows you to specify your favorite places with your phone and to determine their proximity with a smartwatch and call the appropriate action from to-do reminders to music notification. Such as intellectual reminder for places and tasks. The opportunity to choose and mark on the map any places or points that you would like to track. *** Gear S version with native design. *** Category modes: Cafe, Pizza, Pharmacy, Restaurants, Work place, etc. 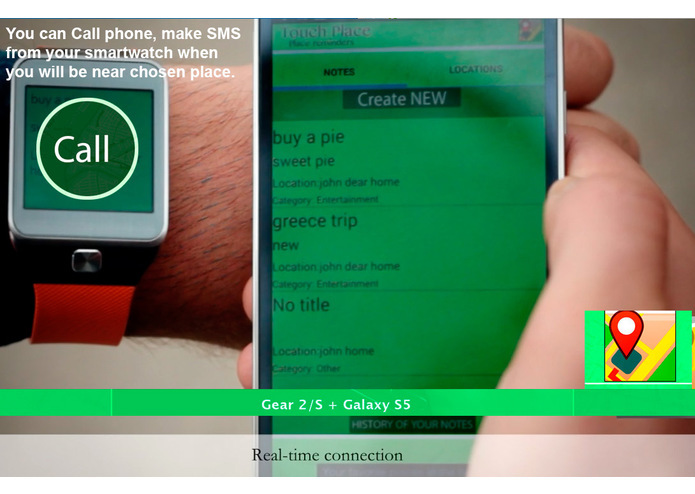 *** To-Do Reminders: call your friend or write SMS when you are near chosen place. 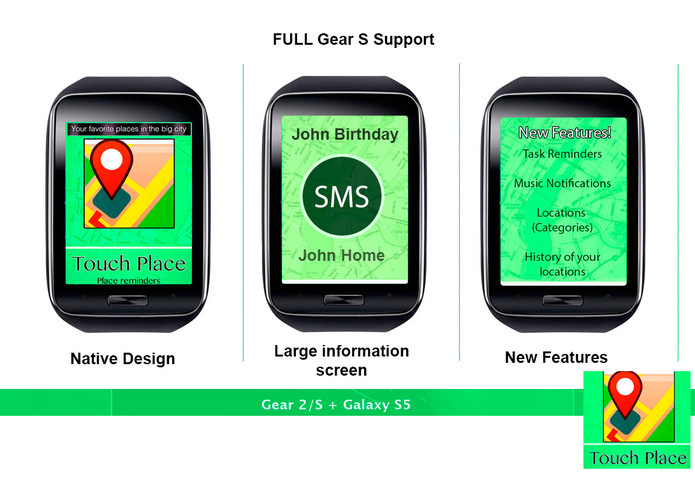 Touch Place Gear helps you to make an additional level of control in daily walks around the city and allows to be in touch with your favorite places and shops, not forgetting about them. 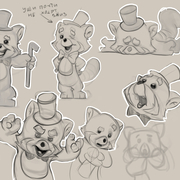 More settings to tweaks. 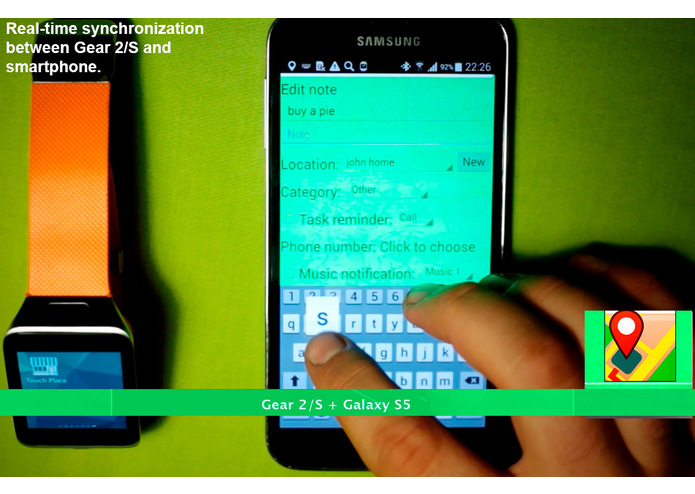 Synchronize with social networking.